Kim brings her mousy friend Annie Whipple home for dinner. Lucy and Kim give her a makeover so she'll have more of a chance during an audition to get a part in the local drama club's latest stage venture. She ends up looking better, but it turns out the director wants the less attractive Annie, the way she used to look. Nonetheless, the entire gang ends up participating in a Roaring Twenties sketch. Special Notes: Luci Arnaz sings " El Cubanchero," one of her father, Desi Arnaz's biggest hits. In the speakeasy sketch, Lucy plays Dallas Noonan, doubtless a satire on Texas Guinan, one of the first female emcees. During Prohibition, she opened a speakeasy called the 300 Club in New York City. It became famous for its troupe of scantily-clad dancers and for Guinan's distinctive aplomb. 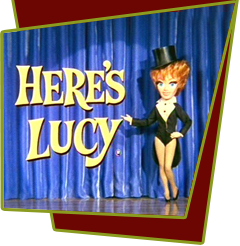 The character of Hal King was named after Lucy's make-up man.